Fluoride is an important element for humans. It inhibits initiation and progression of dental caries and stimulates bone formation. However, excessive intake may lead to the appearance of dental and/or skeletal fluorosis and a decrease in intellectual coefficient in child populations. 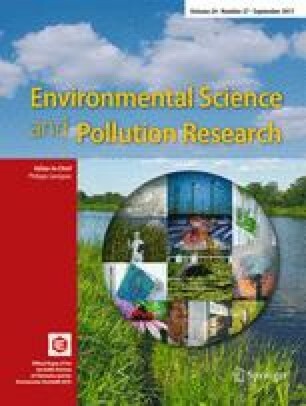 This study evaluates exposure to fluoride in the child population of Chaco province (Argentina) by analysis of drinking water, food and its bioaccessible fraction (quantity of fluoride solubilised by gastrointestinal digestion and available for intestinal absorption) and urine as a biomarker of internal dose. The concentration of fluoride in drinking water varied between 0.050 and 4.6 mg L−1, and 80% of the samples exceeded the WHO drinking-water guideline value (1.5 mg L−1). Fluoride concentrations in food ranged between 0.80 and 3.0 mg kg−1 fresh weight (fw), being lower in bioaccessible fraction (0.43–1.9 mg kg−1, fw). On the basis of the consumption data declared for the young child population, fluoride intake varies between 4.1 and 6.5 mg day−1, greater than the level recommended for this age group. Moreover, in some cases, concentrations of fluoride found in urine (0.62–8.9 mg L−1) exceeded those reported in areas with declared fluorosis. All data obtained show the worrying situation of child population in this area of Argentina. This work was supported by project AECID-A/019010/08 and CSIC 200870I232, for which the authors are deeply indebted. René Rocha Barrasa received a Personnel Training Grant from the AECID (Spain) and Conicyt (Chile) to carry out this study. The authors are grateful to Jujuy National University (Argentina) for the technical support for the lyophilisation of food samples. The study was approved by the Ethics Committee of Dr. Alejandro Posadas National Hospital (Buenos Aires, Argentina). Irigoyen-Camacho ME, García Pérez A, Mejía González A, Huizar Alvarez R (2016) Nutritional status and dental fluorosis among schoolchildren in communities with different drinking water fluoride concentrations in a central region in Mexico. Sci Total Environ 541:512–519. doi: 10.1016/j.scitotenv.2015.09.085.